"Family Movie Bonding At Sm Cinemas On May 28 And 29 Featuring “Pinocchio” "
CrystalSky Multimedia and SM Cinemas tighten family ties with the launch of Family Movie Day every weekend featuring the latest award-winning modern-day “Pinocchio” that starts May 28 and 29. Aimed to promote a worry-free, practical and rewarding family bonding experience in theatres, the campaign offers fun activities with lots of discounts and free coupons from the mall’s partner merchants. SM Cinemas will provide exclusive perks for the family related movies and as part of the promo, patrons can buy 2 tickets and get 2 kids to watch for free (children must be below 4 ft. to qualify). The first to be featured in the Family Movie Day weekend is the award-winning movie “Pinocchio” follows the wild and adventurous journey of the wooden doll in order to become a real boy. 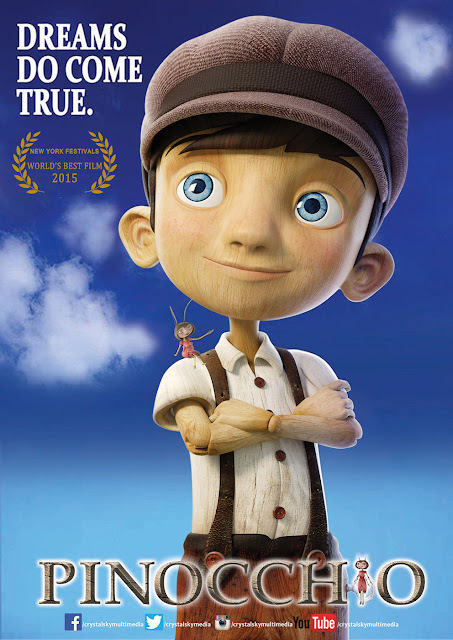 Based on Carlo Collodi's world-famous stories, Pinocchio learns what it means to be a real human as he learns values like courage, honesty and loyalty. One day, poor old toymaker Geppetto finds a piece of pine-wood. He carves it into a puppet, which he names Pinocchio. 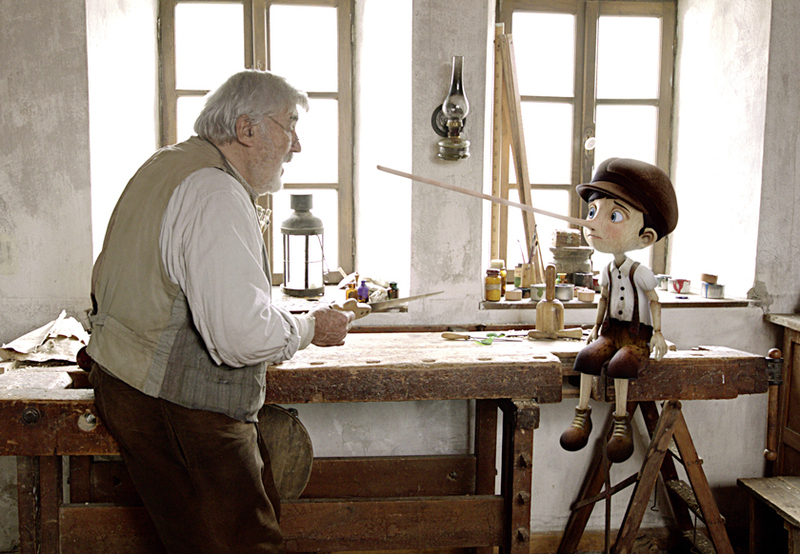 Geppetto is delighted, when his puppet suddenly comes to life, but Pinocchio is full of reckless whims and wild ideas. Before long, his crazy escapades cause considerable damage in the village, causing big problems for Geppetto – who loses his temper with his "son". Pinocchio runs away from home and winds up in a series of madcap adventures: He meets the puppeteer Mangiafuoco, who almost throws him into the fire; he is tricked by two petty gangsters, the Fox and the Cat; he is abducted and transformed into a donkey by an evil coachman – and then sold to a circus-owner, who wants to turn him into salami. Meanwhile, Geppetto is searching desperately for Pinocchio, and ends up being swallowed by a whale. 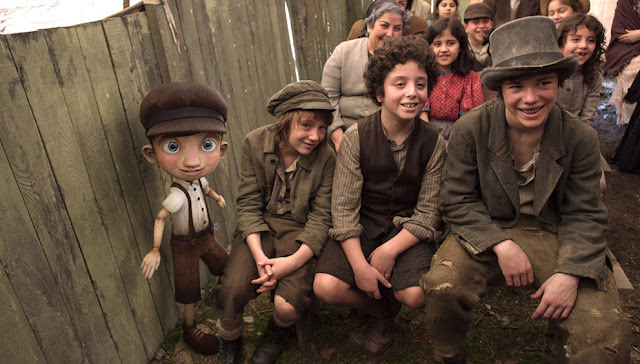 But at the end of a long, adventurous journey, Pinocchio – having learned how to be considerate and courageous – manages to rescue his "father" from the whale and becomes a real boy. “Pinocchio” stars Germany’s most acclaimed actors, led by Mario Adorf, best-known for his appearance in the Academy Award®-winning "The Tin Drum", Inka Friedrich ("Summer in Berlin"), Sandra Huller ("Requiem"), Ulrich Tukur ("The White Ribbon") and Benjamin Sadler ("Dresden"), in a suspenseful and humorous adventure. A family treat like no other from SM Cinemas, catch “Pinocchio” on the big screen on May 28 and 29 in SM Cinemas nationwide.